After trying Lancome's highly rated eye makeup remover, came across this one and I'm so glad I did. The consistency is much better to soak a cotton pad for each eye, which I was struggling with the Lancome version. Removes everything you need removed from your eye area gently and efficiently without dragging the delicate eye area. Best eye makeup remover I have ever used,not oily and perfect for sensitive eyes,doesn’t sting and my mascara comes off so easily,I would highly recommend this and will definitely be repurchasing. I have spent ££'s on eye make up removers, often costing more than twice this one. Most of them don't work, or are too expensive. This Vichy product is efficient and you don't have to apply much pressure which can only be a good thing. All in all a great success! This is best eye make-up remover I have ever used. I use waterproof mascara which is incredibly difficult to remove. This product has made my cleaning process in the evening a lot easier. I would definitely recommend to those who use waterproof eye make-up. Amazing product. Waterproof eye makeup comes off with no scrubbing ! This eye makeup remover is very gentle and can remove the make up fast. 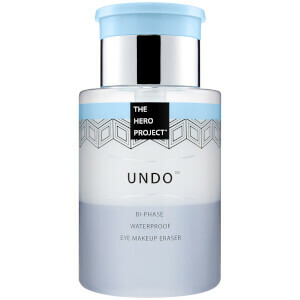 Best eye make up remover I ever used! Boots always run out of stock, and lookfantastic is a good place to buy.